LU EN APARTÉ: To bleach or not to bleach? When the smell of the bleach hits your nose, what is your first thought? The smell of cleanliness, right? Well, you will be disappointed. Bleach doesn’t clean, it only disinfects. Such a bias I know! In my journey to adopt a more eco-friendly and slow life, I first started to buy less harsh cleansing and hygiene products. I make sure – try my best at last – that the product bears the words ‘biodegradable’ or ‘natural ingredients’ even if we all know natural is quite misleading. But I always had my little bottle of bleach from the famous C… brand. We don’t use it on a daily basis, maximum twice a week. But still whenever I run out of it, I had to have my bottle. Until today! Yes and I will explain you why the bottle I have in my house will be the very last one I’ll buy. Ok let’s go back to the issue at hand! Like I said, bleach doesn’t clean. Why? Because it doesn’t contain any surfactant agent. The specificity of a surfactant is to remove the dirt. So you should first clean the dirty surface and then disinfect with bleach. And it indisputably disinfects, like disinfects ANY bacteria. 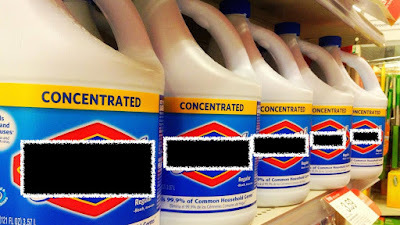 Bleach is a biocide so it kills the bad bacteria but all the good ones; the good, the bad and the ugly ones broadly speaking. And we learned in a previous post that our body hosts hundreds of thousands of billions of bacteria. Bacteria are LIFE! And in addition to kill everything on its way, it is not biodegradable. It contaminates the soil, the water. 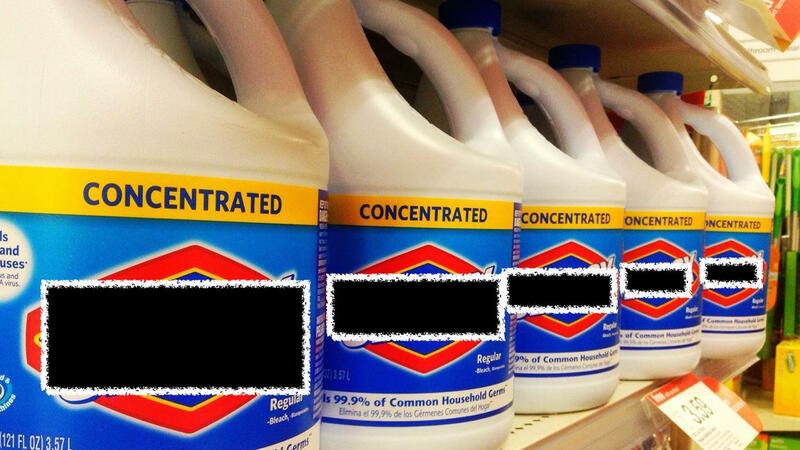 Well, you picture it, bleach is extremely hazardous. Even more astonishing here, studies found that too sanitised environments will actually decrease your immune system (reported on a daily French TV show that focuses on one particular product each day). An increase of ENT infections and bronchial infections has been observed among children who live in environments that are regularly disinfected with bleach! It’s a matter of fact; we don’t actually need to live in an aseptic environment. The only reason you would need to disinfect your house is in epidemic time like when flu is around the corner. è mix the sodium percarbonate with some lukewarm water and shake it well until dissolved and add the rest of the water. You can add the essential oil only after the percarbonate is fully dissolved in the water. Use it only to disinfect the house, not on your laundry because the percarbonate can alter the colour of your clothes. And shake it well before use, as the essential oil is not soluble in water.